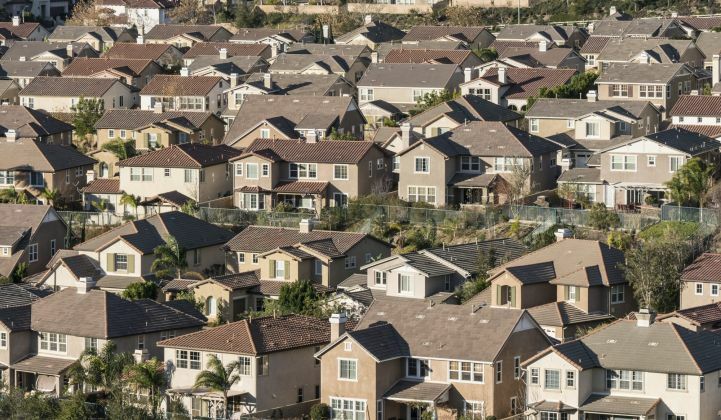 California is getting some new all-electric housing developments. A combination of attractive incentives and utility engagement with developers is making all-electric homes the default for new residential construction in greater Sacramento. This summer, national homebuilder DR Horton broke ground on two new all-electric projects in the Sacramento neighborhood of North Natomas. DR Horton plans to build 104 homes complete with heat pump space heating and cooling, heat pump water heating, induction stoves, and no natural gas infrastructure in the new “Independence” and “Juniper” communities. Six model homes have been completed and construction is expected to continue throughout 2019. Under its All-Electric Smart Home program, the Sacramento Municipal Utility District (SMUD), the regional community-owned utility, will provide rebates worth up to $466,000 to DR Horton for the installation of electric appliances and equipment at the two projects. SMUD also offers a rebate package worth up to $13,750 for gas-to-electric conversions in existing homes. “It’s the initial rollout of this kind of home, so we’re really interested in seeing how consumers react to it,” Ray Nalangan, a senior architect at SMUD, told Greentech Media in an interview. DR Horton did not respond to multiple interview requests for this story. Nalangan said DR Horton had previously participated in SMUD’s legacy Smart Homes program, which offers rebates for insulation, duct sealing, high-efficiency windows, and other traditional energy efficiency improvements. Based on that prior relationship, he said, SMUD approached DR Horton to assess the homebuilder’s interest in going all-electric at the North Natomas projects. For its part, SMUD views all-electric new construction and gas-to-electric retrofits as a means to achieve the utility’s ambitious climate goals. SMUD aims to reduce the greenhouse gas emissions required to serve its customers by 90 percent from 1990 levels by 2050. According to SMUD, a little more than 50 percent of the utility’s power generation mix is carbon-free. As that portfolio gets cleaner, all-electric homes become an even more important instrument to reduce greenhouse gas emissions from buildings. “Electrification provides a magnitude of [greenhouse gas] reduction that cannot be matched by energy efficiency measures,” SMUD project manager Owen Howlett told the California Energy Commission at a June workshop. SMUD is proactively reaching out to homebuilders to inform them of the availability of rebates for all-electric new homes. Thus far, developers in the region appear to be interested. “There’s quite a bit of momentum going forward,” said Nalangan. He added that nine large developers are building 400 all-electric homes in SMUD territory over the next 24 months. “We’ve had some really good interest,” said Nalangan. SMUD wasn’t ready to disclose all the homebuilders with which it is working on all-electric developments. DR Horton’s projects in North Natomas are being built adjacent to mixed-fuel neighborhoods completed years earlier. The developer capped the gas infrastructure at the property lines and is proceeding to build the new all-electric homes as the final phase of a much larger project. Nalangan noted that greenfield and infill developers in particular are eager to explore all-electric construction. “They generally have tight sites, and so the fact they don’t have to accommodate the infrastructure set-asides for gas pipelines are a big value-add for those guys,” he said.